Darmstadt. Wheather just perusing or conducting a targeted search – the new version of www.passivehouse-database.org offers an attractive overview of built Passive House buildings. The almost 3.000 registered buildings from around the world show the diversity of this energy efficient standard. Projects can be found by region, building type and a variety of other criteria with the user-friendly search function. Each building's profile contains photos as well as technical details and contacts. 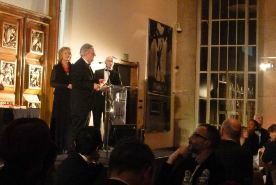 The UK Passivhaus Awards celebrates the design and performance of Passive House in the UK, aiming to gather data on performance of UK Passive House buildings and demonstrate that Passive House buildings address occupant health and well-being, energy saving and other sustainability issues. 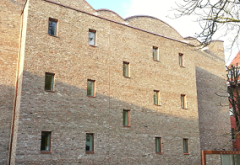 For this second ever UK Passivhaus Awards competition, shortlisted projects were presented at the Passivhaus Trust 3rd Anniversary event and awards ceremony to an audience of key industry leaders, clients, architects and engineering consultants. The audience then voted to determine the winners. Frankfurt, Germany. Energy-efficient and cost-effective: this is the future of construction and retrofitting, as demonstrated at the International Passive House Conference in Frankfurt, Germany. Using examples of completed projects, experts from all over the world revealed the potential of intelligent architecture for climate protection and cost savings. The spectrum of topics ranged from a "historical" new build in an old-town district of Frankfurt itself, to the demands on Passive House buildings in Mexico and Scandinavia. More than 1000 Passive House experts from around 50 countries attended the Conference, a long-established event in the energy-efficient construction sector. Frankfurt, Germany. The energy revolution is well on its way, and Passive House offers a viable and cost-effective solution for the building sector. The latest developments and innovative projects will be presented at the 17th International Passive House Conference, held in Frankfurt, Germany, on 19 and 20 April 2013. Renowned speakers from all over the world will give lectures on a variety of topics, ranging from thermal insulation to photovoltaic systems for roofs. A trade exhibition held in parallel to the conference will provide an overview of the latest components and systems for building owners and property developers. Darmstadt, Germany, 15 April 2013. The German version of the new Passive House planning software will be available at the International Passive House Conference in Frankfurt, Germany. The PHPP 8 not only offers additional calculation methods and easier data input, but also provides a central list of Certified Passive House Components and incorporates electricity yields from photovoltaic systems. 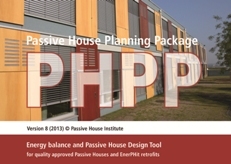 The first German copies of the new Passive House Planning Package will be available for purchase at the Passive House Institute stand on 19 and 20 April 2013. The English version of the PHPP 8 will be available as of summer 2013.